Only a year after the 2017 Commune and Sangkat Council Elections, the Cambodian people are set to head to the polls again on July 29, 2018 to choose 123 members of the National Assembly. The bleak atmosphere of the 2018 pre-election period was a stark contrast to the enthusiasm and vibrancy of civil society and political party activity which characterized the 2017 elections, which most election monitors viewed as the most democratic election in the country, despite it nevertheless being plagued with a host of issues. 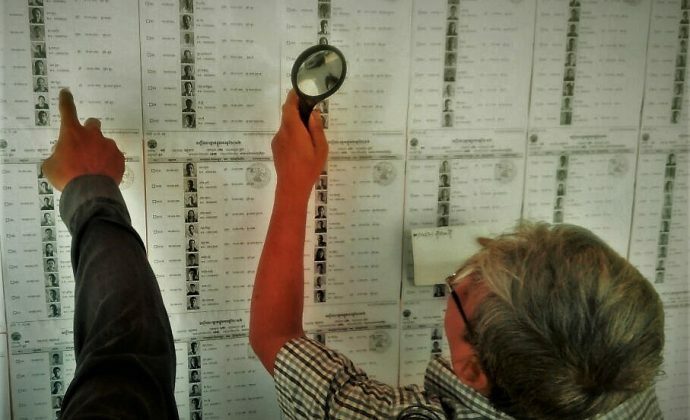 Months prior to the elections, the ANFREL Assessment Mission saw disinterest among the voters and various civil society actors to participate due mainly to the proliferation of heated and unfruitful exchanges between the two polarizing forces in Cambodian politics – the ruling Cambodian People’s Party (CPP) and the now-dissolved Cambodia National Rescue Party (CNRP). Policies and actions enacted by the ruling CPP against the opposition party and its critics have created distrust on political processes in the country. The most disconcerting being the arrest of Kem Sokha, the leader of the strongest opposition party, on September 3, 2017, and the dissolution of his party, the Cambodia National Rescue Party (CNRP), by the Cambodian Supreme Court on November 16, 2017. In its decision, the Court also ordered a five-year political ban for 118 members of the party. These events happened in an environment of harassment against human rights actors, a further declining media independence, and the absence of and checks and balances in the government. CNRP, on the other hand called for the boycott of the elections and the imposition of the sanctions on Cambodian officials which further aggravated the already volatile political conditions in the country. While most Cambodian stakeholders interviewed by the mission view such drastic calls as justified, most have expressed their hesitation to support such moves due to the possible grave repercussions. Laborers and government workers for instance have expressed that they have received threats from their employers of salary deductions and promotion bans should they return to work without indelible inks on their fingers. Government officials have gone to lengths of describing non participation in the elections as direct contempt to Cambodian democracy and outright support for rebellious actors and love for dictatorship. The prevalence of such threats from the ruling party and its supporters has basically incapacitated the civil society who are still in a state of shock due to the unprecedented events which transpired post-2017 elections. With the absence of a strong opposition party, most civil society organizations have expressed that the degree of freedom and competitiveness in the elections have suffered greatly. On May 15, 2018, the Committee for Free and Fair Elections in Cambodia (Comfrel) and the Neutral and Impartial Committee for Free and Fair Elections (Nicfec) announced that they will not formally participate in the elections due to the prevailing atmosphere of intimidation directed at human rights workers. Other human rights groups have adopted the same stance. However, other domestic groups such as the Higher Education Community (HEC) have expressed their willingness to observe the elections in all polling stations have at least USD 200,000 to fund its operations, according to the NEC. Other international actors friendly to the Cambodian Government like the Chinese and Russian governments have expressed their support for the July 2018 Elections through financial assistance and deployment of observers. Other international actors such as the International Conference of Asian Political Parties (ICAPP) and the Centrist Asia Pacific Democrats International (CAPDI), both having the CPP as members, are also most likely to observe the elections and will most likely adopt positive remarks about the elections similar to their previous statements in 2017. While the United States and the European Union (EU) have pulled back their support for the NEC, the Japanese Government will continue their financial support to the NEC, while the South Korean Government continues to offer trainings to the NEC on voter education. Independent media has essentially been crippled with most resorting to self-censorship and operating outside the country due to the restrictive environment in the country. Most stakeholders have expressed great concerns about media independence after the takeover Phnom Penh Post, considered by most as the last independent print media in the country, of a Malaysian firm which allegedly have close relations with the ruling party, and the subsequent sacking of its editor-in-chief, Kay Kimsong, and resignation of its editorial leadership. All civil society actors have also expressed their dissatisfaction on the composition and management of the National Election Committee (NEC). The management body is widely perceived as totally dominated by the ruling party due to the resignation of representatives nominated by the opposition parties. They expressed that while the 2017 NEC composition was balanced between the ruling and opposition parties, much are to be desired about the independence of the institution in terms of the appointment process of its members and its financial independence. These problems still exist, and are made worse with the lack of opposition representation.